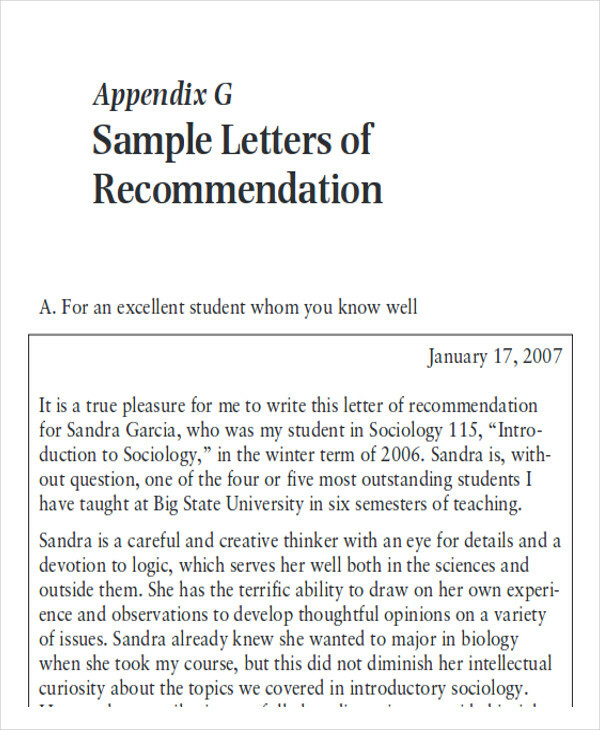 To help guide you in your letter-writing, download our collection of physician recommendation sample letters, which are available for free. 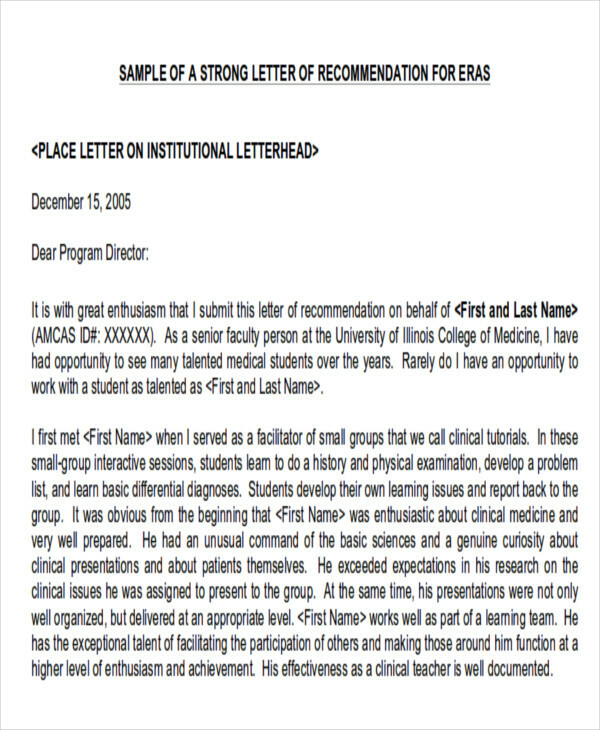 What Is a Physician Letter of Recommendation? 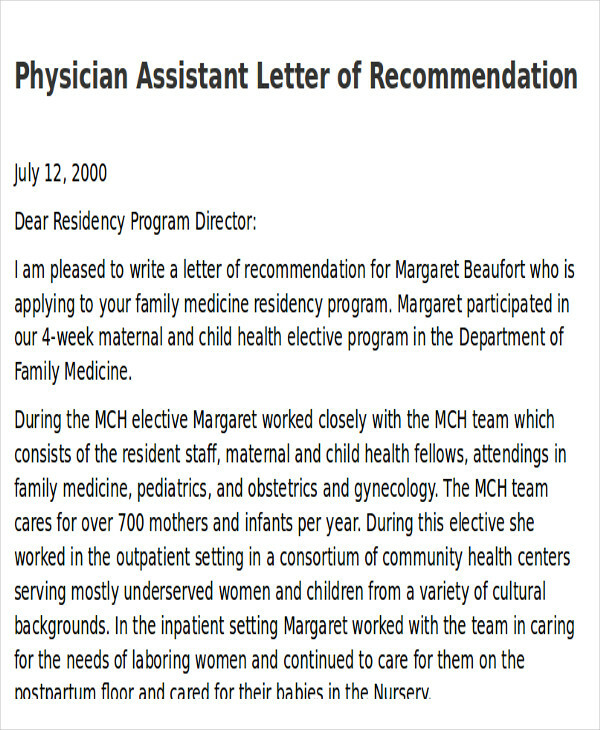 A physician letter of recommendation is usually written with the purpose of recommending a doctor or physician to someone who needs medical services. When Are These Letters Necessary? 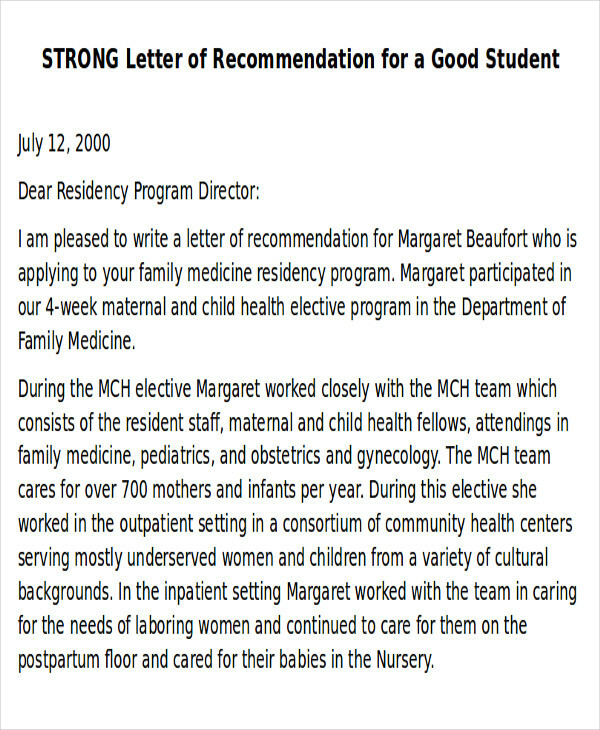 other medical specializations that targets specific individuals whose condition or line of work requires them to see a specialist.You may also see nurse reference letters. 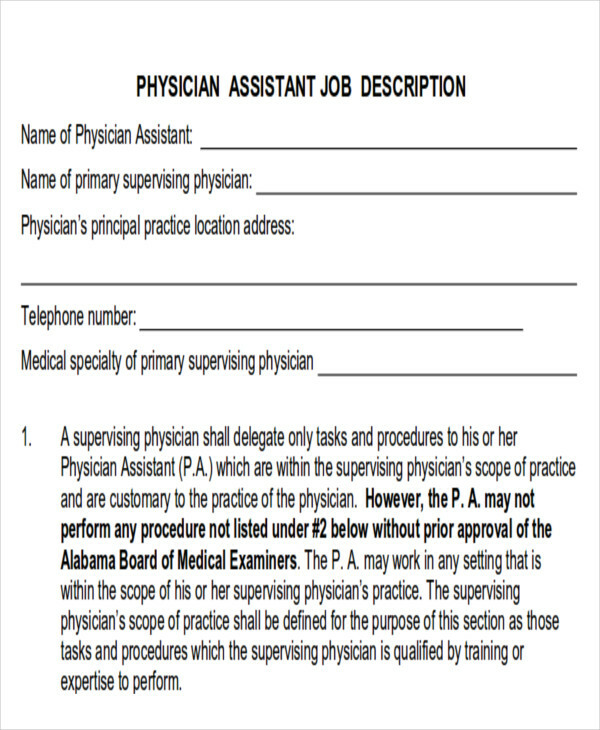 When a physician is looking to be promoted for a higher medical position. 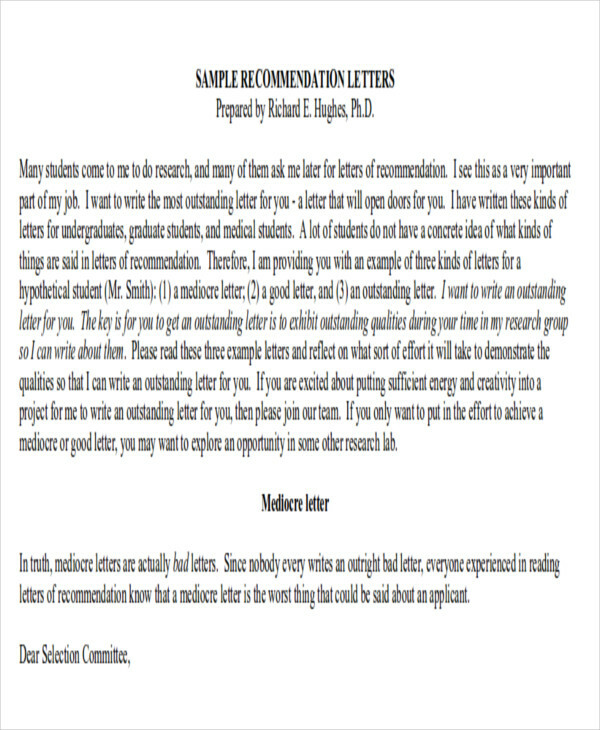 Whatever the reason for writing a physician recommendation letter, you need to pattern your letter’s format according to the standardized format of physician recommendation letters. 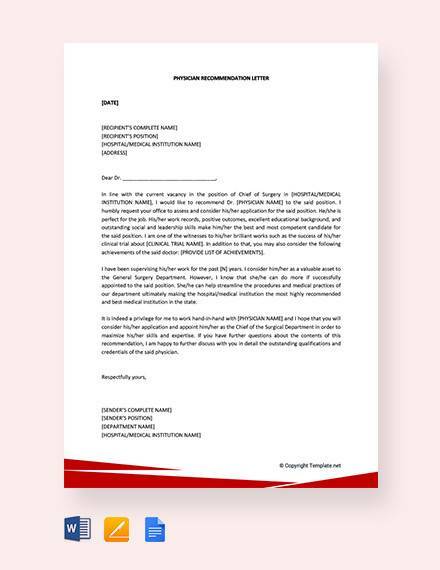 To gain more information about writing this letter, you might gain some knowledge from our collection of Job Recommendation Letters. 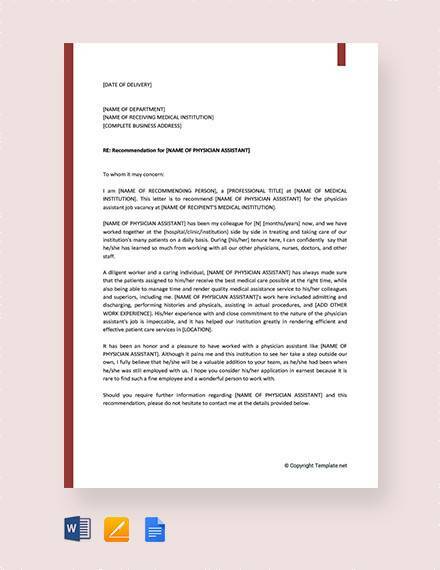 Access these by clicking on the link provided. 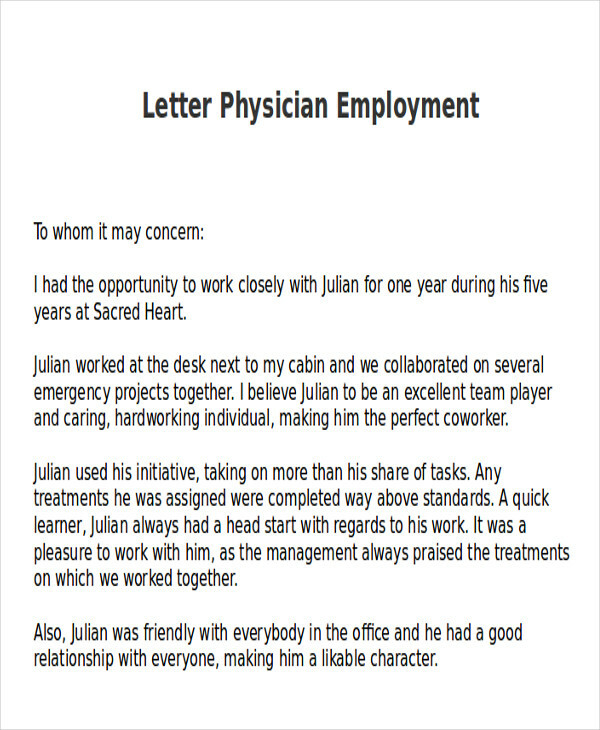 Now that you’ve learned the basics, you are now ready to write your physician recommendation letter! 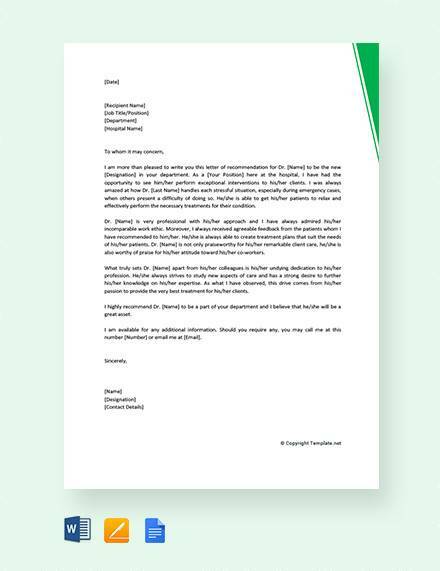 For more reference, view our example letters of recommendation by clicking on the link provided.